Another level! Better than the first one. It's still kinda short, but I'm proud of it. This was a lot better. Never have a platform embedded in a wall like that. 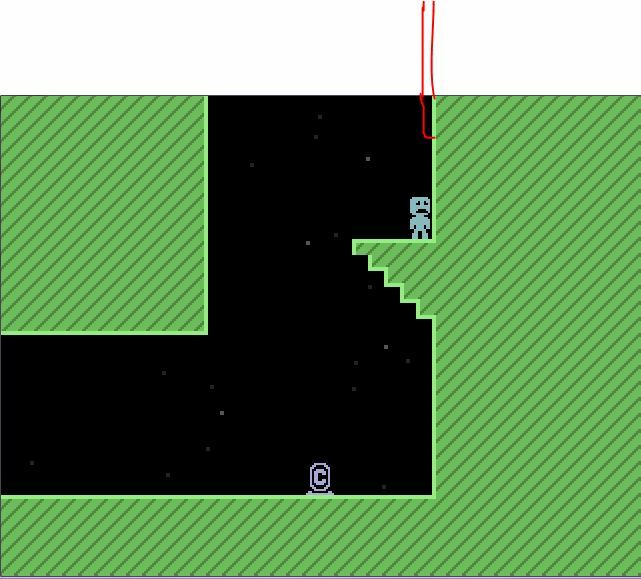 It's hard to see, but that enemy is stuck in the wall. Never have a crewmate on top of a warptoken. In the future, this will probably make them teleport. Plus, it looks bad. Your scripts were good, but they all repeated. That needs fixing. And most single-tiles look bad. But this was better than your last one by far. How do I make each thing not repeat? I'm just getting started with scripting. You don't have to quote all of my posts. Distractionware, Y U NO allow signatures? This is Epic! Except for only one Problem. I can't get the one time scripts to work.